In case you didn't already get the memo and you are still following this blog, I switched to my new website about 2 weeks ago and you can follow me there! You can also follow me on Pinterest and Facebook at the same link, or on Instagram @katessweets. The buttons to those social media are to the right under "Author", or on my new website as well. Thanks for following me! No recipe today, sorry. Instead, I have some really exciting news! I officially bought my own domain and host and I am in the process of transferring all of my blog posts from this site to my new site. That may sound like "big whoop" to you, but pretty much this means that I, Katherine O'Malley, now own www.katessweets.com, where I will be posting all my blog posts! I will also keep most of my old ones (there are a few I may snip out), but this also means lots and lots of work for me. Fortunately for RSS feeds, there are a few simple steps I can follow to migrate all my blog posts from this weebly site to my new wordpress site (that is mine, MINE), but it will mean a lot of formatting and layout changes that will take lots of time, but it's going to be awesome! I am also still trying to find a kickass theme for the new site, but it will definitely look different. So, you won't have .weebly at the end of your site name, so? Oh, but it is so much more than that. I will get my own favicon (the little icon in the url box before the url), which I haven't made yet but I'm pumped to say the least. It also means I can have ads on my site. I realize this may not be so exciting for you, but the ads will be very limited (it's more complicated than you would think, you don't get an unlimited number of ads), and it means a small amount of income for me. Do you get cooler features? Uh, heck yah I do. I will have much nicer "print" options, a recipe "plugin" that allows me to smoothly enter a recipe that's compact and easy to read, I get to put a search bar on my page, I can put tags on posts, as stated above, I get my own favicon, I get to put ads on my page, and so much more! Pretty much, everything will just work much smoother. And it will look more professional :). I am working really hard to get this site up and running as fast as possible, and then I will officially change over to it. Until then, I haven't decided if I'll post anything (because I will be baking a lot soon for Christmas), so stick with me! It's going to be great I promise! Also, even once I do publish this site, there is still so much more to come, hopefully. My goal right now is to get the basics down and then make enough money from this to hire someone to create a custom design for my website. Instead of using a generic wordpress theme, I would have my very own, unique wesbite design! However it is really expensive so that won't happen right now. Speaking of website design, I may switch my theme from this to that a couple times until I find one I really really like because I can't afford a custom theme right now. I hope you will like all the changes coming up (of course you will though)! Happy Holidays! Yum, yum. 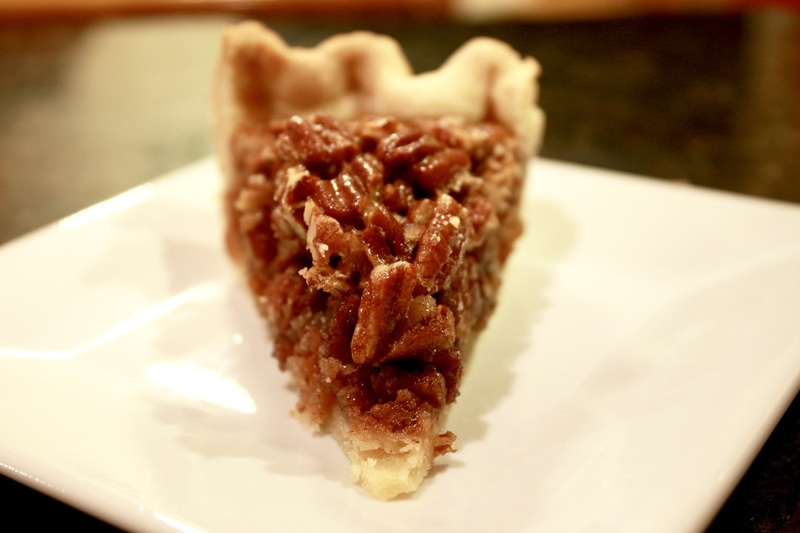 Pecan pie is one of my favorites! I made this pie for Thanksgiving, of course. It was my second time making it and equally as good. I used a different pie crust recipe in the picture than the one I gave below because I thought it wasn't flaky enough and a little too thick, so I gave my better recipe for pie crust. To help you save time, you can make the pie crust ahead of time, refrigerate it (or even freeze it if it's way ahead of time), and then just make the filling the day of. You can also warm it in the oven before serving if you would like, although I personally don't need my pecan pie to be warm. Enjoy! Tis' the most wonderful time of year again, the holiday season! I hope you all had a wonderful Thanksgiving! I spent my day baking pies, eating, watching the parade, eating, playing with my dog, and more eating. We had a nice breakfast, then pretty much no lunch (slash I had pie crust for lunch, whoops), then appetizers (which include pigs in a blanket! ), then the Thanksgiving feast, and then dessert. It's a lot of food, but it's so awesome. I also watched Star Wars for the first time. Gasp, I know. We watched the fifth and sixth episodes, which are apparently the second and third movies because it feels like being super confusing like that. Let's just say it is not all that it's worked up to be... sorry Vader fans. Happy Thanksgiving! I am happily spending time with my family in New Jersey. This is one of my favorite times of year because I get to spend it with some of the people who are most important to me and I am so grateful for that. Not to get all cheesy, but to get cheesy on you, I am definitely most thankful for my loving and supporting family. Not everyone has that and I cherish it every day. For Thanksgiving every year, we wake up, the adults all drink Bloody Mary's, we watch the Thanksgiving Day parade, then we watch the dog show, then they put on the football game and next thing you know it's time to eat! My cousin and I are always on charge of dessert and my aunt does most of the cooking for dinner. We also have some great appetizers, like pigs in a blanket and shrimp cocktail! I hope you all have a great Thanksgiving, too! It's around that time of year again. Time to break out the mixer and make cookies, and lots of them. Christmas cookies are by far my favorite cookies. I love decorating sugar cookies for Santa Claus and making cookies for our Christmas dinner. 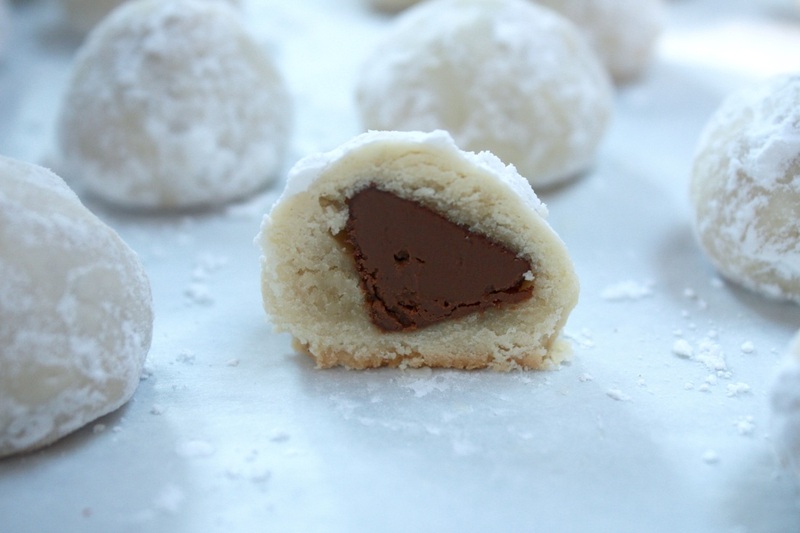 My favorite Christmas cookie are these snowballs, which are shortbread balls with ground up pecans rolled in powdered sugar. Soooo good. Everyone at college always asks me, "How do you have all that time to bake?". Now, I know what they mean when they ask me that, I do bake a lot, but I find this a really frustrating question. To me, this question insinuates that because they are so busy studying and playing sports and whatnot, they don't have enough free time for things like that. But, this is false. I study; I study a lot. Ask anyone in my family and they will probably say I'm addicted. I also figure skate, which takes up 7+ hours of my week. So this is my answer. Some people love to read. Some people love to do yoga. Some people love to run. I love to bake. No matter how busy we are, we always find time to do whatever it is that we love, and therefore finding time to bake is not a problem for me. Now to be fair, I know when people ask me this question they mean no harm; in fact it is merely a question, and a fair one too. But to me it is obvious. Baking is my passion, and therefore I will always, always find time for it. And I hope all of you love the fact that I do! 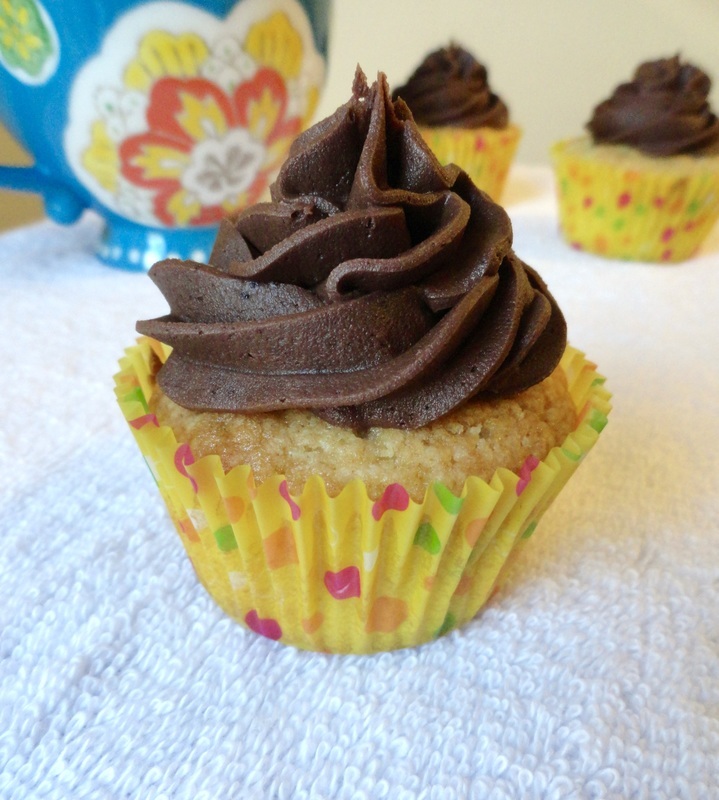 This recipe is amazingly easy. It has 3 ingredients, and all you need is a microwave and a fridge, which I'm guessing most people have. The three ingredients are peanut butter cups (of course), milk chocolate chips (of course), and sweetened condensed milk. Sweetened condensed milk is found in a small can (14-oz.) in the baking aisle. It never goes bad, according to my knowledge, so a lot of bakers will just keep cans of it in their pantry and use it when they stumble upon one of the few recipes that calls for it. Fudge is one of those recipes. You will find this ingredient in most fudge recipes and it is what gives it that distinctive fudge-like taste. 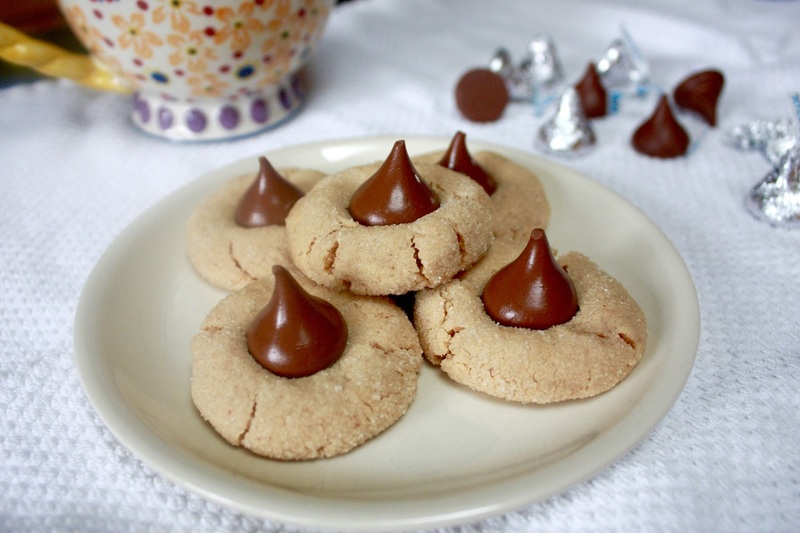 This is also a great recipe for Holiday baking! 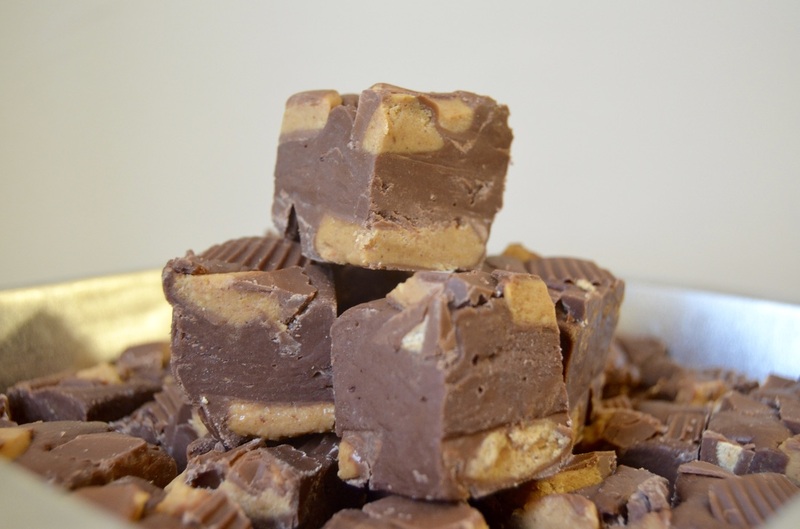 Fudge is commonly made around this time of year, and I can see why because it is delicious and really easy to make! Plus it yields a large amount for one recipe (you can make up to 64 squares from this recipe). More pumpkin spice, I know. But these are really good. And don't run away from this when you see the word pumpkin. Trust me, I don't want pumpkin in my snickerdoodles either. These have no pumpkin in them, they simply have pumpkin spice. There is a major difference there. 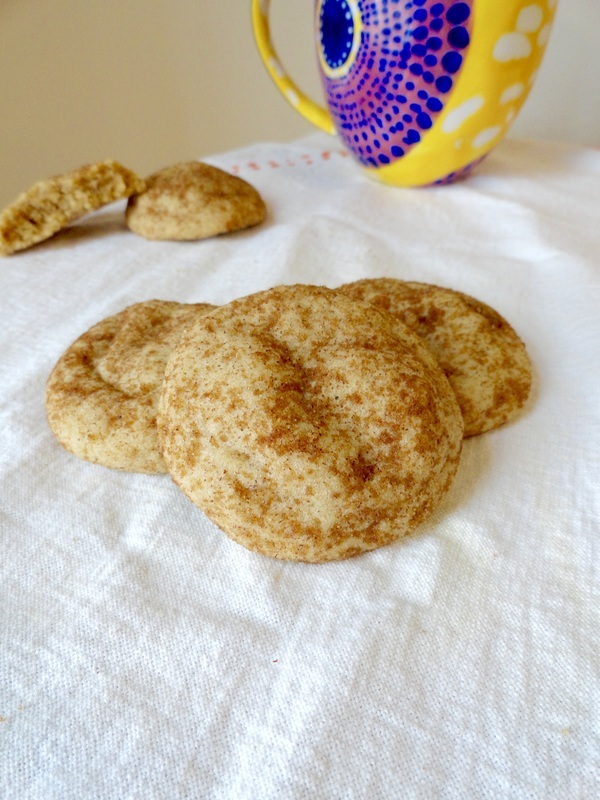 These of course use cream of tartar to make them snickerdoodles, plus they have pumpkin pie spice in the batter and are rolled in a mixture of brown sugar and pumpkin pie spice. They are really quite delicious! I had a really difficult time coming up with a name for these. I first wanted to call them pumpkin spice snickerdoodles, but that might give the impression that they have pumpkin in them, when in truth they just have pumpkin pie spice, but no pumpkin. Then I thought "Spiced Snickerdoodles", but to be honest all snickerdoodles are spiced snickerdoodles, so that doesn't work either. Then I landed on "Fall Spice Snickerdoodles," but decided it sounded better with Autumn instead of fall. Alas, there is my title and it's exact origin. 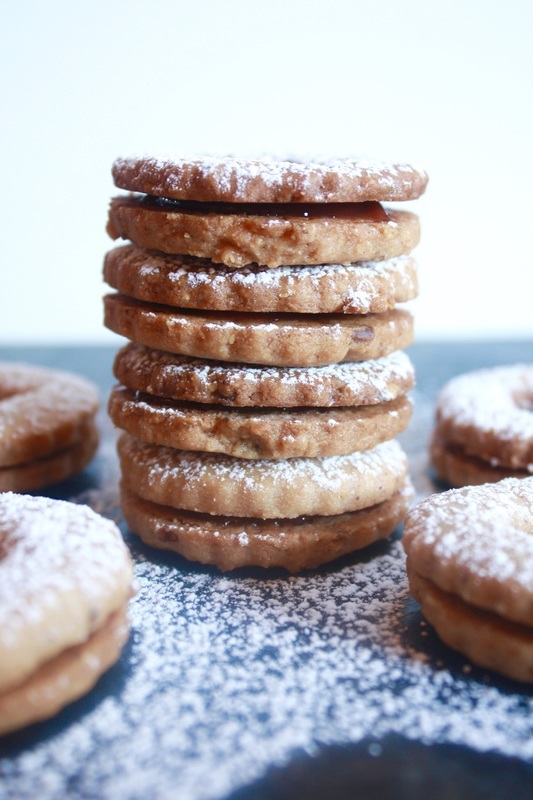 These are a great recipe for Thanksgiving, or any time in fall, really. Enjoy! HAPPY HALLOWEEN! 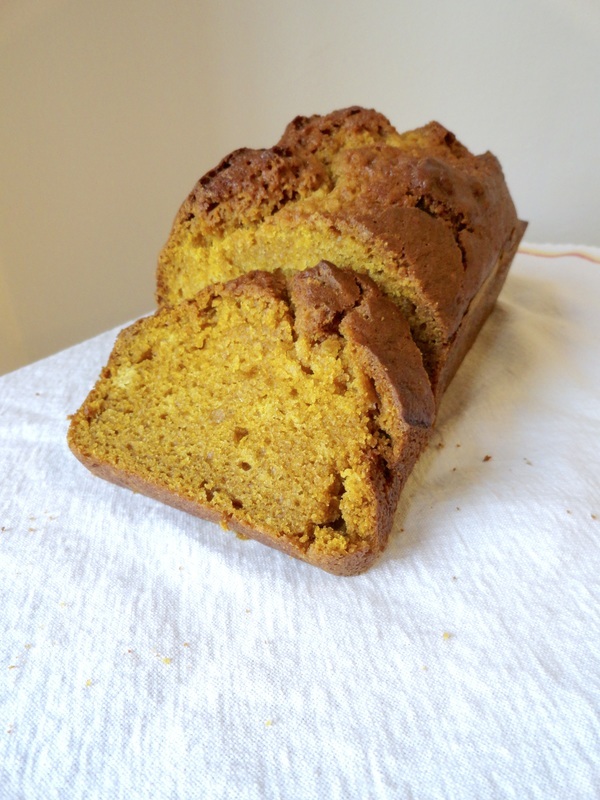 What's a more perfect recipe to post on Halloween than pumpkin bread? You know it's fall when every baking blog you follow is posting recipes of pumpkin spice everything. I think it's a bit overdone, to be honest. I mean, I don't even really like pumpkin. But, I could always go for a nice, cakey slice of pumpkin bread. For all you coffee-lovers, maybe a cappuccino on the side, then you really know it's fall. This recipe is really simple! In case you have trouble finding it, pumpkin pie spice can be found in the baking aisle with all the other spices and is a nice alternative to buying every fall spice (which gets expensive, spices aren't cheap). If you don't have pumpkin pie spice, it's really just a combination of spices that you can look up the exact ratio to online if you don't feel like going out to buy it and you do have all those on hand. I'm currently a college student, so I do not.